Due to a Generator Failure, I was unable to post this on Thursday. Sooo we’ll just call it a “Flashback Friday” this time. The smell of forest fires hangs in the air here, adding a flavour of summers at home to our day here. It’s hot. And muggy. The air is grey and we don’t even have the bonus of a pretty sun, colour intesified by all the particles in the air. I haven’t been this hot since Fish Lake! Oh yeah, except maybe that last time I posted about the heat. But this time it’s muggy, too. Apart from a kicker of a heat wave, however, Fish Lake holds some pretty great memories for me, and I’ve been thinking about it all day. Fish Lake is the Wildeness satellite camp of the camp I worked at the previous two summers. Only set up for two weeks in August, I acted as a cook for these weeks both years. 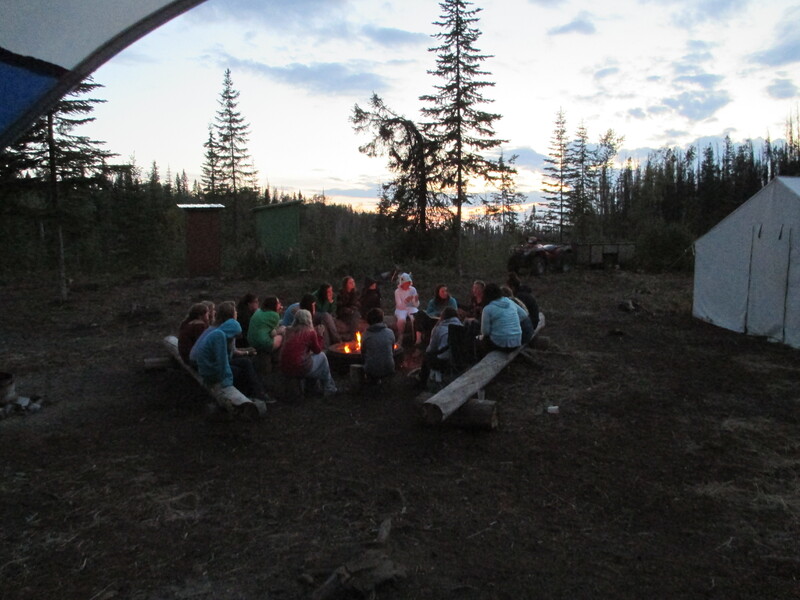 Kids sleep in treeplanter tents, play paintball by day and sit around a campfire at night. 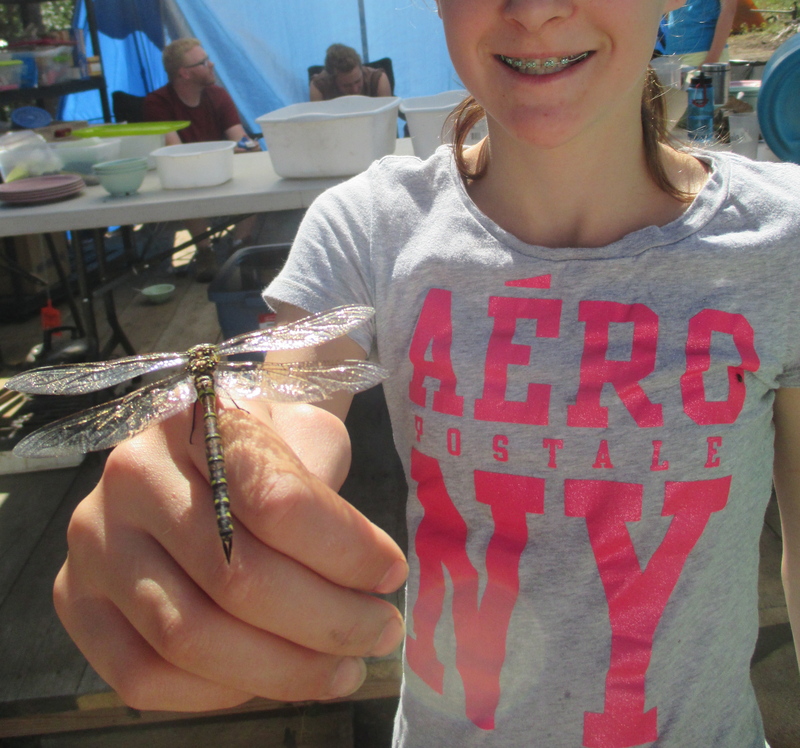 The days are filled with canoes, swimming, nature and survival lessons, fort building, berry eating, slow days, and lots of minnow catching in the lake. Fish lake weeks are my favourite in the summer. It’s where friendships are made, and friendships are strenghthened. It’s where things are simple and things get dirty. It’s where you wear the same clothes for too many days in a row, showers are a hike and a duststorm away (so is it really worth it anyways?) and you wear 18 layers in the frosty mornings but wish you wore none by 11 am. It’s where you’re not sure if that stain is syrup or sap. You think you’ve got a tan but then is washes of in the shower, leaving you about 5 shades lighter and entirely streaky. Fish Lake is where I fell in love with Cast Iron. 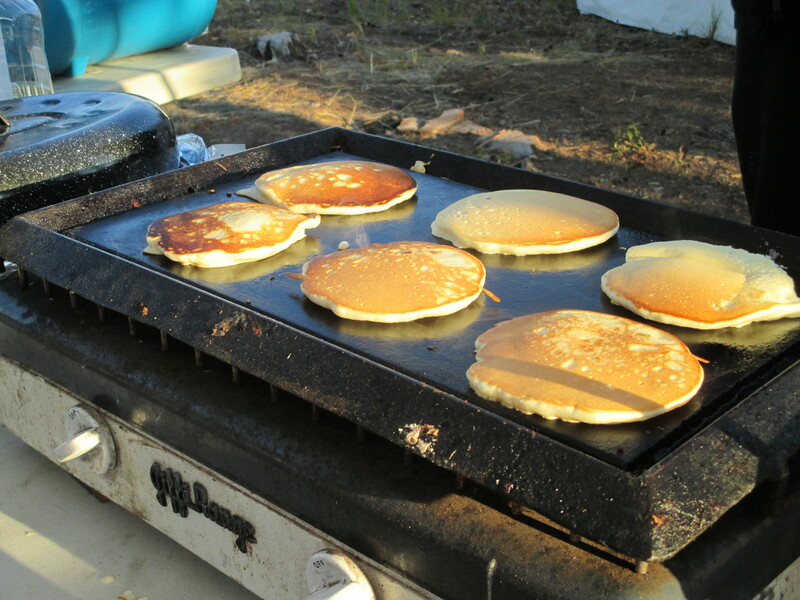 Nothing beats pancakes by a lake and fire. It’s hard to see but that’s two cabins full of girls and their leaders around a campfire. They’re sharing stories, maybe singing silly songs, or hearing about the most life-changing experiencing different staff have had, all of them centered around encountering Jesus. It was humbling and it was powerful. And sometimes, it was hilarious. It was here I heard the screams, squelches and splashings of a certain cabin leader’s experience of (falling out of a canoe?) 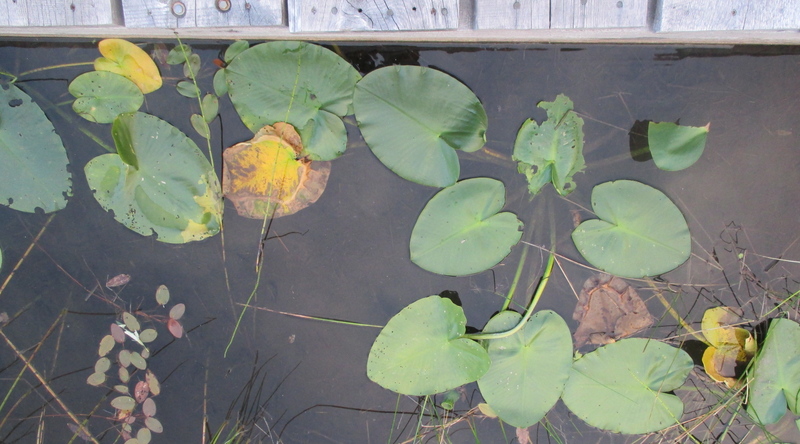 ending up in the water and getting stuck in the mucky nastiness of a swamp-shore known as Fish Lake. I heard the explosive laughter and problem solving girls try to help her onto the dock, but the lake bottom is like quicksand, and it proved Quite a Struggle, to say the least. I heard the dramatic story again that night, as I prepared the snack and listened in on discussions. 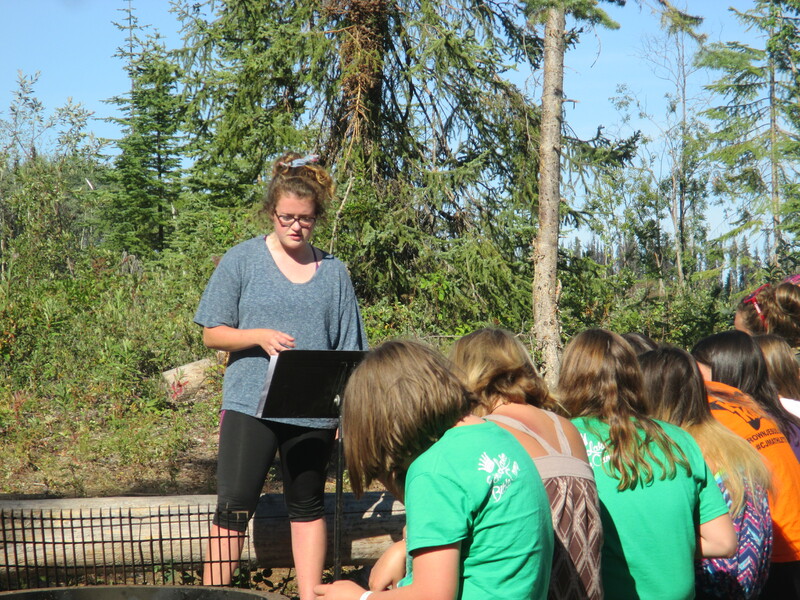 Laura talked about being pulled out of the “muck and mire” and how that really is a reality of our lives. We cannot live them on our own. We do need a saviour. This is something I’m learning every single day, again. Thank you, Laura, for sharing. Thanks for falling into the lake and reminding us that life gets nasty and messy but there is someone who’s there to help pull us out if we’re willing to quite the struggle. ’cause quicksand? It just pulls you right back in. And I saw lives with Christ’s character shown throughout. I watched teens and young adults portray faithfulness, rising at 6:00am to prepare for the day, groggily greeting the day at my costco tables for a starting cup of coffee. 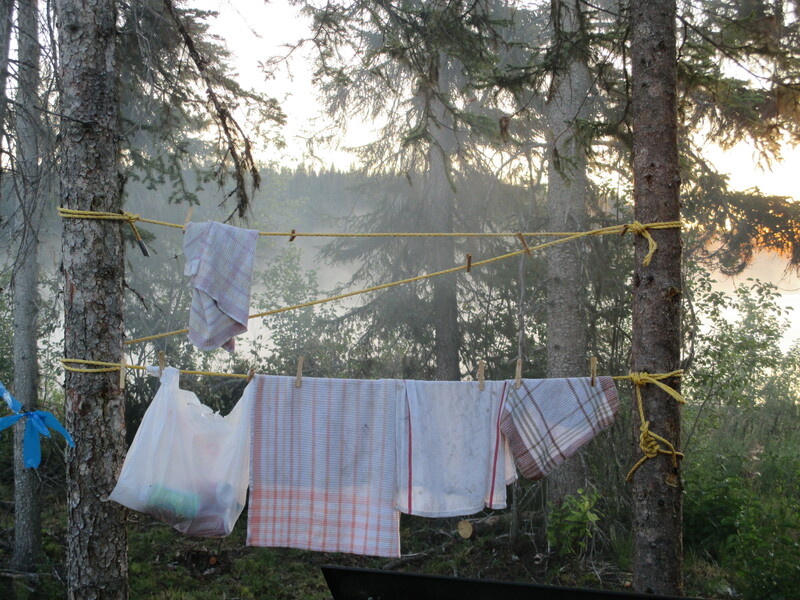 They brought life, fun and energy into all the camp activities – even the dishwashing. 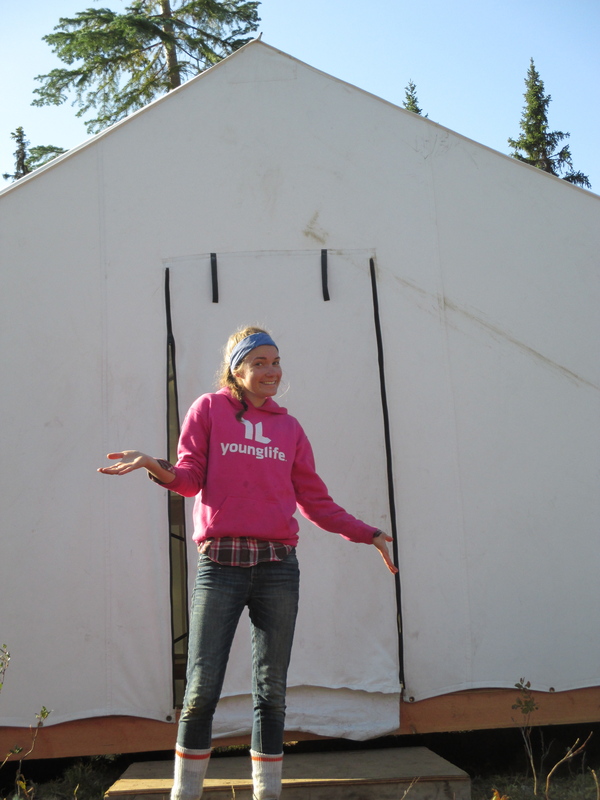 They showed patience and care as they led, cared for, and worked beside campers literally 24 hours a day. They taught gently and selflessly, helping kids dice potatoes and fold tin foil after tin foil around the chunks of ham and potatoes to be thrown in the fire. My favourite memory of Jonny, the handsome (Northern) Irish fellow shown above, had to console some indignant 11-year old boys who had just marched into camp from the main camp. The accusatory cries started on entering the site, at the sight of me working in my kitchen-tent. “Hey! It’s a GIRL!” They said. Jonny waved them off. “Meh!” he said. I grinned. Best comment of the summer. Thanks for the moment, Jonny. I felt very accepted. And it seems the boys accepted me as well, when they saw I wasn’t going to interfere with their ways but still feed them chili and perogies and bannock. It worked out all right, in the end. 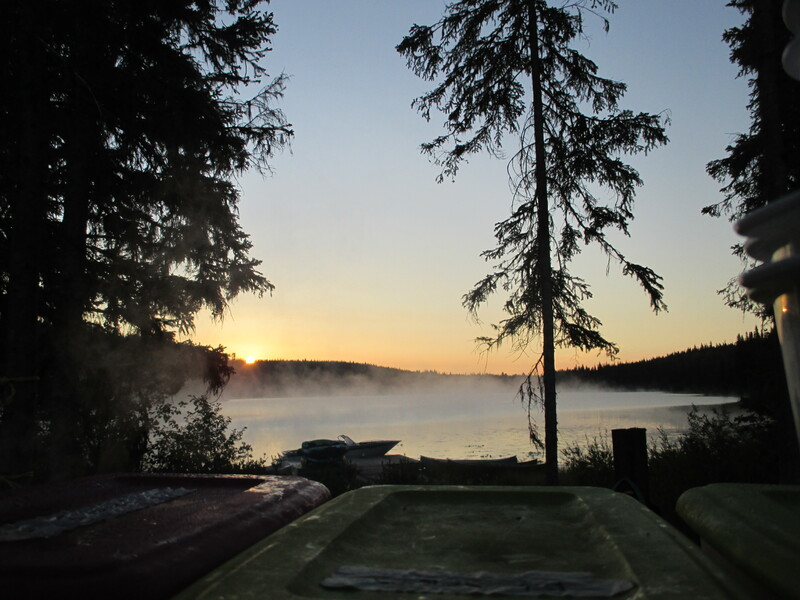 So here’s my shout to all those at Fish lake this year, and the countless other camps that will go on this summer. It’s an amazing place, an incredible “industry” and a straight up Crazy experience. I’m thinking of you all as you start this next season of intensity! Camp leaves me delighted and awe-inspired, with an open mouth and an opener heart towards a big, crazy, fun-loving God who started it all. Thanks for Fish Lake, God. And be with all those there this summer – I hope you give them a heckuva good one.